Shower your bride in style. 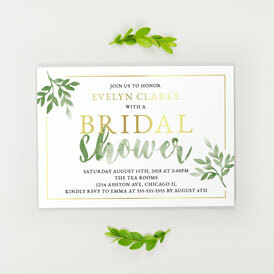 Classically modern 5"x7" rectangular invites with plenty of room for the fabulous details. Add feminine flair with rounded-corner invites to celebrate the pretty bride-to-be. Trendy bracket shapes will honor the bride-to-be with a touch of chic elegance. My bridal shower invitations look amazing! I will definitely be ordering my wedding invitations and thank you cards from Magnetstreet! They have so many different designs to choose from and fit any personality! Very pleased! Ordered Save the Dates and Bridal Shower invitations. They look great and received them in a timely manner! I bought these for my daughters' bridal shower and am very pleased with the quality of the paper and the envelopes. The color is very sharp and the printing font choices were excellent. We were able to coordinate these with our save-the-dates and will order our wedding programs with the same design. 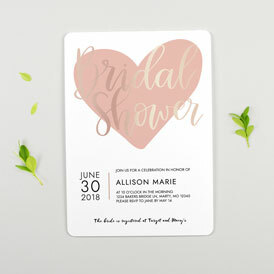 It was very easy to choose, personalize and purchase the Bridal Shower invitations and I received them on the 6th business day after placing order. Will definitely use again and reccomend to others. Celebrate the Bride's Upcoming Vows! Give the bride a gift she will forever cherish — time spent celebrating with her closest friends and family before she says "I Do." 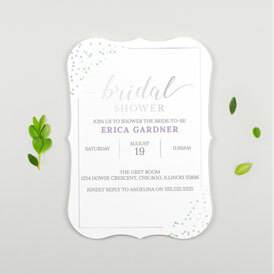 A bridal shower made just for her is on order, starting with a Bridal Shower Invitation tailored to match her wedding colors and theme, or her personality and interests. Choose your favorite design that complements the bride, and personalize it to match your exciting event! 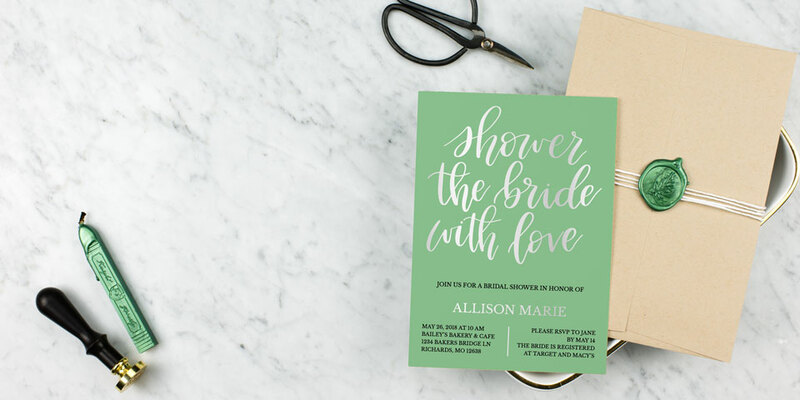 Whether you're throwing a traditional girls-only bridal shower or a co-ed event, the Bridal Shower Invitations will set the stage for a day of fun while you help her get ready for her brand new future!